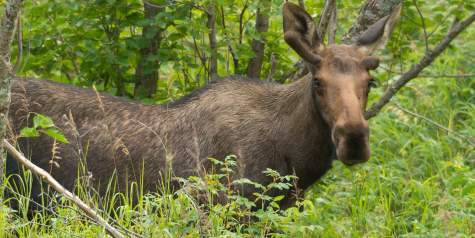 Hatcher Pass is well known as one of the top recreation areas in all of Alaska, so it&apos;s not exactly a secret. But here&apos;s a local tip that many Alaskans have never experienced - you have to do the drive over the top, from Independence Mine to Willow, because it&apos;s nothing short of spectacular! 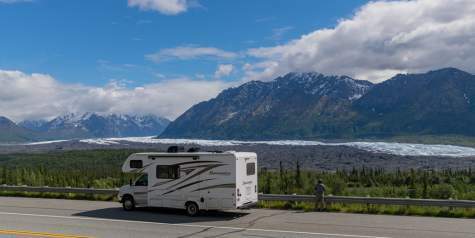 Many Alaskans have come to Hatcher Pass to visit Independence Mine or go hiking or berry picking, but if you are looking for a drive with some of the most breathtaking views in the state, Hatcher Pass Road is your best bet. You do have to plan ahead, however, as the road is only open over the top from the beginning of July to around the end of August. It&apos;s a 49-mile road that features paved and unpaved sections, so make sure your vehicle is properly equipped. Take Hatcher Pass Road to the summit, near Independence Mine, and then take the road past the gate. Your first stop is Summit Lake, at elevation 3,886 feet. 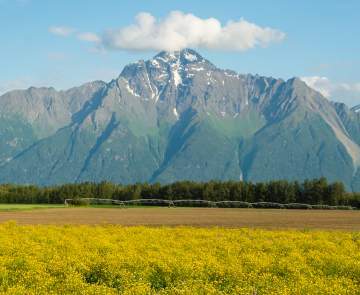 Continue along the road for amazing views of the Talkeetna Mountains, the roaring Willow Creek, wildflowers and alpine meadows. From Summit Lake, the road is unpaved except for the last 10 miles where it connects to the Parks Highway near the town of Willow. 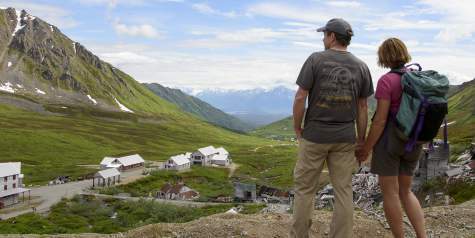 Gold was discovered in Hatcher Pass in 1906, when Robert Lee Hatcher staked the first claim. Many others followed suit, but lode mining was expensive and individual companies were having a hard time making it profitable. Finally, one company bought all 83 claims and established Independence Mine, which became one of the country&apos;s top gold producers right up until World War II, when the resources were needed for the war efforts. After trying to get started again after the war, it never reached production levels that were sustainable and it closed for good in 1951. Today, that gold rush history is on display at Independence Mine State Historical Park. Many of the old building have been left untouched while a few of them have been restored. Guided tours are available, and individual walking tours are worth your time. Make your first stop the visitor center by the parking lot, and then head out and explore the gold rush history. 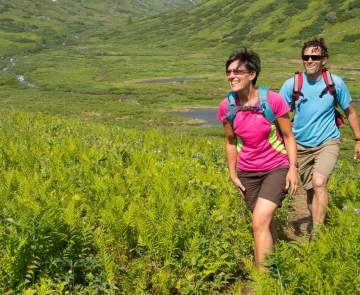 Let&apos;s be honest - everyone knows that Hatcher Pass is a hiker&apos;s paradise. It&apos;s hard to pick a local&apos;s favorite hike, but we&apos;ll take a shot with Reed Lakes Trail. 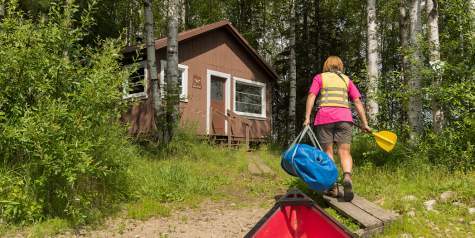 About halfway up the road to Hatcher Pass, you&apos;ll find a pull-out for Reed Lakes Trail. The trail is great because for novices, it starts out easy enough but provides amazing views of the valley below. It gets more and more challenging as you make your way further from the parking lot. The end of the trail is Upper Reed Lakes, about a 4.5-mile hike from the beginning. Other local favorites include Gold Mint Trail and April Bowl.